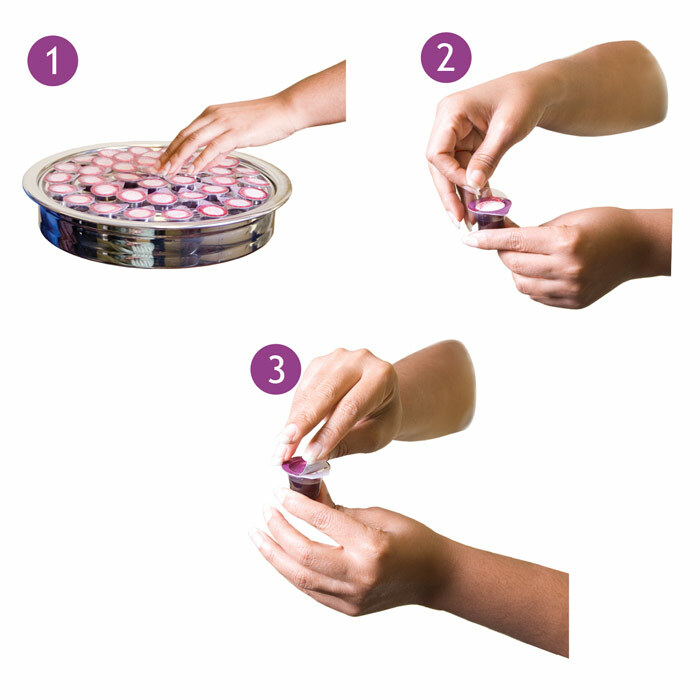 Request a free sample of prefilled Communion cups! Taste for yourself! Prefilled Communion cups will transform your Communion celebration. They are spill-free and you'll only use what you need. Simply leave unused portions in your Communion trays for the next service. Stays fresh without refrigeration for over 10 months. Portable. No worry of contamination or waste. Prefilled Communion cups with wafers- Try our "all-in-one-cup" single portion serving; both elements, concord grape juice and unleavened wafer, ready to serve. 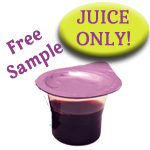 Prefilled Communion juice cup without wafer- Try Celebrate Communion's exclusive 100% natural grape juice cup; serve with your own choice of Communion bread. Prefilled Communion cups with white grape juice and wafers- Try our "all-in-one-cup" single portion serving; both elements, white grape juice and wafer, ready to serve. Now your church can celebrate Communion with the highest quality standards, shipped fast and fresh from the Pacific Northwest. Call 1-877-222-0771 for a FREE sample and free shipping. Limit 1 per church ministry please, while supplies last. Free shipping is limited to US churches. International postage may be purchased.